The Siebentälerstadt Bad Herrenalb lures with her unique situation, the agreeable salubrious climate and special hospitality. 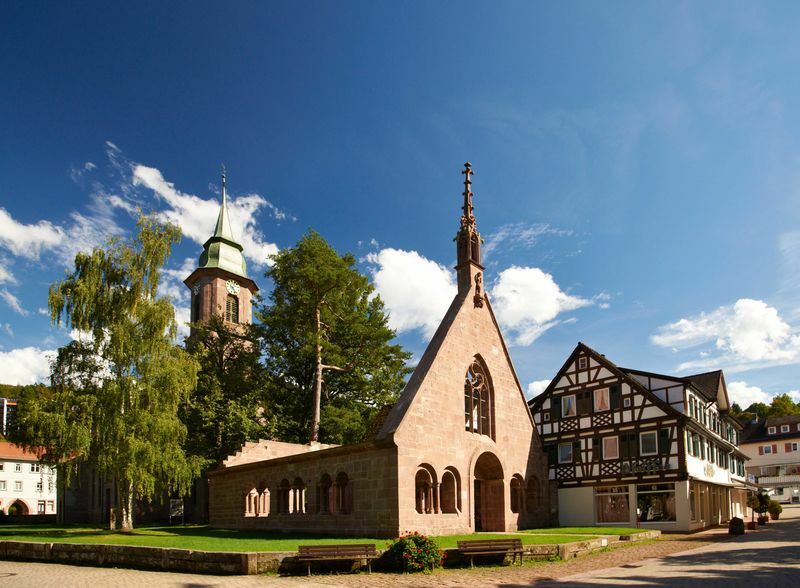 The only 30 km small town located in Germany's biggest national park Black Forest middle/North south of Karlsruhe is regarded when „Gate to the Black Forest“ and a local recreation goal to be accomplished fast from the royal seat is. Bad Herrenalb has the double award the healing water and the pure air when „Medicinal bath“ and „Well-being climatic spa“ owing. Cloister street in the historical town center with the Protestant monastery church and this offshore „Paradise“ still show the history of the former cloister town today which one can discover at a walk on the historical way through the town center. The spa garden and the "Swiss meadow" invite to staying.